London is endlessly entertaining; brimming with opportunities for pleasure, and play. 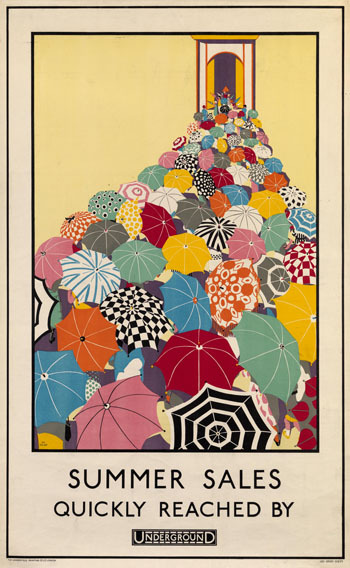 For over a century the Underground has used posters to increase passenger numbers by promoting pleasure trips and leisure destinations. An amazing array of London attractions have been featured. A closer look reveals the timeless allure of pleasure and the changing face of entertainment. 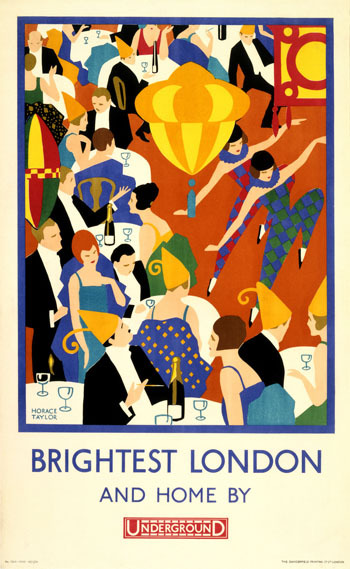 In the 1920’s and 30’s posters promoting London’s theatres and cinemas drew audiences into the West End. 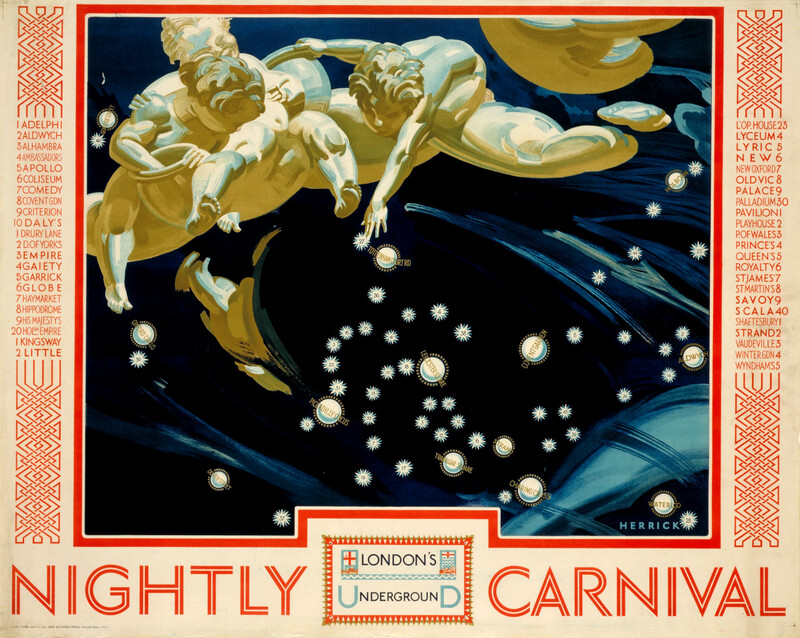 The cherubs in James Herrick’s poster, Nightly Carnival, scatter stars beneath their feet creating a sparkling map of well-known theatres. The Underground stations are cast as planets in a clever reinterpretation of the roundel and bar. Brightest London is less subtle but equally seductive. Horace Taylor’s striking design appealed to those who enjoyed dancing, cabaret and dining out. The draw of evening entertainments increased travel after the early evening rush hour. Amongst the daytime pleasures on offer, shopping played a prominent role. London has long been considered the shopping capital of Britain. 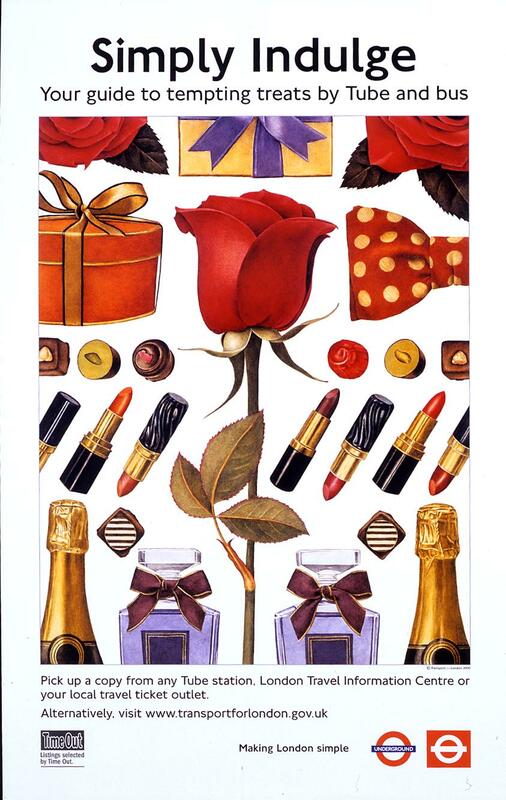 Posters enticed shoppers away from their local high streets to the grand department stores of the West End by promoting sales and seasonal shopping. 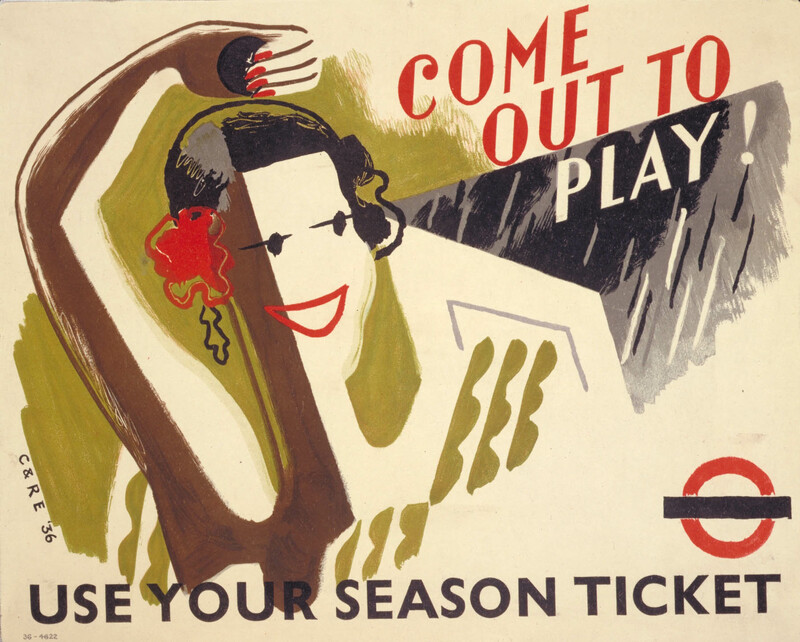 The Underground even experimented with special season tickets for women passengers shopping in the January sales. The indulgence of shopping continues to pull in the crowds. Posters promoting sporting events and picnics in the park attracted large crowds to London’s stadiums and open spaces. Before television the only way to see events like the boat race or the cup final was to go along. The Underground produced thousands of small posters to promote sporting events all over London every weekend. A trip to the Zoo became the most publicised leisure destination, offering Sunday outings and evening visits. Posters promoting carnivals, festivals and fairs continue to invite Londoners out to play. The cities buses, trains and tube keep pleasure at the heart of London life. Come out to play tonight!